Mont Palais — Hush Homes Inc. 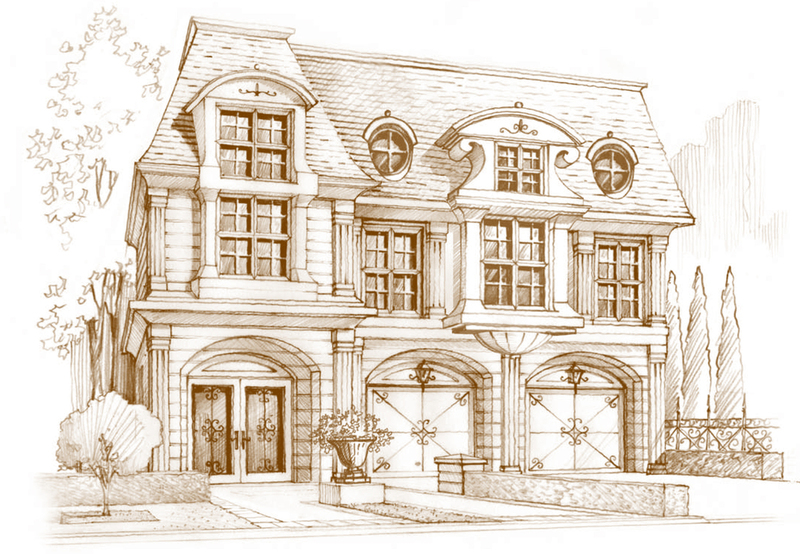 Positioned alongside a ravine on the prestigious and highly-desirable Mississauga Road, Hush has created a tranquil community of eleven elegant homes. Inspired by the simplicity of a small French village, Mont Palais embraces the graceful architecture of the Renaissance period. Each home in this community will be built with leading edge Geothermal heating and cooling technology. Designed as an exclusive cul-de-sac community, a private road will service the eleven thoughtfully placed 60-80’ lots, and provide residents with the peace and tranquility that they desire. Mont Palais basks in its location beside a private ravine: emerging from areas of protected greenbelt and meadowland which lie to the rear of the site. These acres of untouched parkland enhance the sensation of seclusion and provide an unsurpassed backdrop to the Mont Palais estate. The interiors at Mont Palais are customized to complement the prestige of each residence. With HUSH’s signature attention to detail nothing is overlooked. Whether working from a choice of pre-designed interior plans, or providing a truly customized scheme for your home, you can be sure that the HUSH Home Interior Design team will create living spaces that perfectly reflect your own lifestyle and needs. 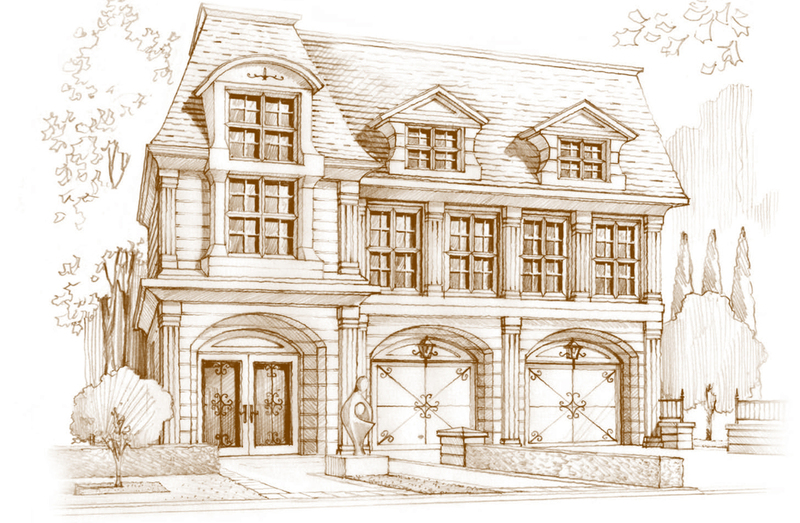 Each home is built to unsurpassed standards and provides buyers with a best-in-class experience. Dramatic 10' main floor ceilings tower above the elegant vintage hardwood and imported marble floors that shine through each room. Immaculate detailing can be seen in the designer oak or maple cabinetry and solid granite or quartz counter tops, all complemented by Sub-Zero,Wolf.